Improving education and reducing the number of school drop-outs. Currently 23% of our students do not graduate from high school. Helping people get on the road to financial stability. In Eagle County, our unemployment rate is above the national average at 8.1% while 14% of our children live in poverty. Promoting healthy lives and reducing risky behaviors. Over 20% of Eagle County residents have no medical insurance and 23% engage in excessive drinking. In our community, education, income and health are the building blocks for opportunity - individually and collectively. Education is essential to getting and keeping a job with wage and health benefits that can sustain a family. An income that can cover living expenses today and save for tomorrow builds a family's solid foundation. Good health helps children stay on track at school and helps adults be productive at work. Remove any of these building blocks and the other two topple. Establish and fortify each building block and the foundation for individual and community prosperity is strong. Our board consists of a group of volunteers with the passion, expertise and commitment to make a difference. We aspire to make a difference by driving collaborative and positive community change with the overall objective being to serve our greatest needs in an extremely effective and efficient way. United Way of Eagle River Valley grants funds to LOCAL nonprofit organizations who have demonstrated success in addressing the most pressing issues of our community while positively impacting forward movement and change. We are seeking to leverage our role as a funder of worthwhile charitable agencies and programs to build relationships between organizations rather than to just fund them individually. We will be expanding the scope of our existing, extensive evaluations by seeking opportunities for more inter-agency collaboration to reduce costs, increase effectiveness and to fill gaps in servicing our community needs. Your grant to our United Way is funneled directly into programs that deliver real results. With just one part-time staff member, an all-volunteer board, no offices and some in-kind services donated by local businesses, we are able to keep our administrative costs very low, therefore granting as much raised as possible. Currently, our Donor revenues total ~$150,000 per year with expenses of ~$20,000 per year and 99¢ out of every new $1 donation received goes directly to supported agencies and programs! We can't do it alone. We need your help - whether it is as a donor or advocate or volunteer. No gift is too small. Now is the time for all of us to do our part. Our community faces difficult challenges, but we can make a difference. Please give, because together we can inspire hope and create opportunities for a better tomorrow. Please visit unitedwayeagle.org, tell your friends why you donate or even ask your employer for the benefit of payroll deduction as an easy way to give. 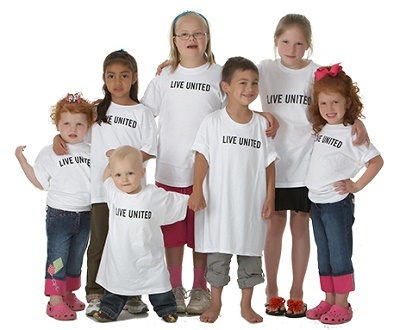 LIVE UNITED and see how easy it is to bring hope to those who are in need.